I love the holidays, but the daunting task of finding the perfect gifts for everyone on your list can be stressful. One lesson I’ve learned over the years: start early! Another lesson: rather than trying to give “stuff”, consider giving an “experience”. Tickets to a concert or the theater, a membership to a local museum… OR… a night in a cozy bed and breakfast, all have the opportunity to become treasured memories for the people you love. 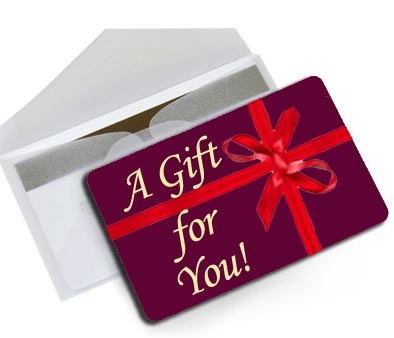 Smithton Inn Gift Certificate: Buy a gift certificate for the value of your choice, for a getaway to the Smithton Inn. It can be used mid-week or weekends, during holidays or the ‘off season’. It’s a thoughtful gift of rest and relaxation for people young and old. PLUS: Combine it with spa or romantic packages to create an extra special gift. Stay at the Smithton and Catch Show: The Ephrata Performing Arts Center is an amazing local theater with a big reputation. EPAC is located less than a mile from the Smithton and has a must-see line up of shows scheduled for their 2011 Season. Take a look at their 2011 schedule and we can create the package! Stay at the Smithton and See a Concert: With the Ephrata Main Theater, a wonderful, new, small concert venue just a mile up Main Street, you can combine a weekend getaway at the Smithton with an upcoming concert of your choice. Check out the list of upcoming events and call us to set it up. Remember those Sheets?! And finally, for anyone who’s stayed at the Smithton Inn, you probably remember how soft and comfortable our sheets are! Give that special someone a gift you know they’ll use and love… the ultimate “Comphy Sheets”. They come in all sizes and four colors (white, cream, sage and chocolate). Just call or email us to place your order. Hopefully this has sparked a few ideas for you. Give us a shout if you’d like to buy a gift certificate for the Smithton Inn, or to create a unique experience that combines a stay at the Inn with one or more of our local attractions. And most importantly, relax and enjoy the holiday season! !